Martin De Pascal also shows us how he did one of his manipulations. Worth watching, especially if you are bewildered by how it's done. 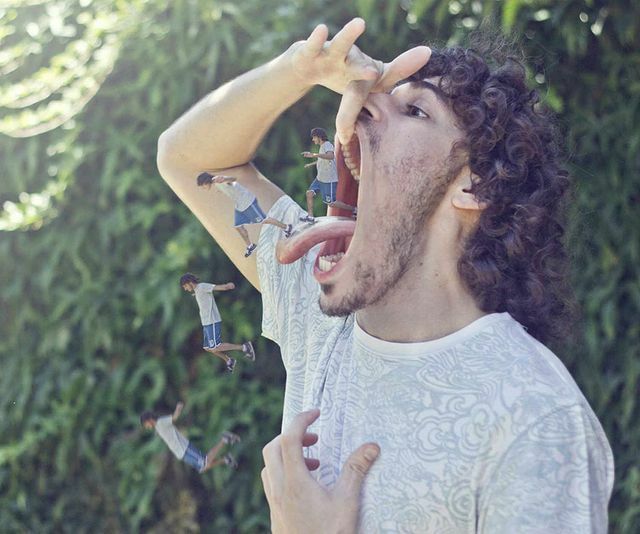 Buenos Aires-based art director and digital artist Martín De Pasquale is called a Photoshop wizard by some, and not without reason – his masterful digital photo manipulations blur the boundaries between dreams and reality and between humor and fear. He even deals with the issues of life and death, mainly focusing on mortality and the vulnerability of human body.